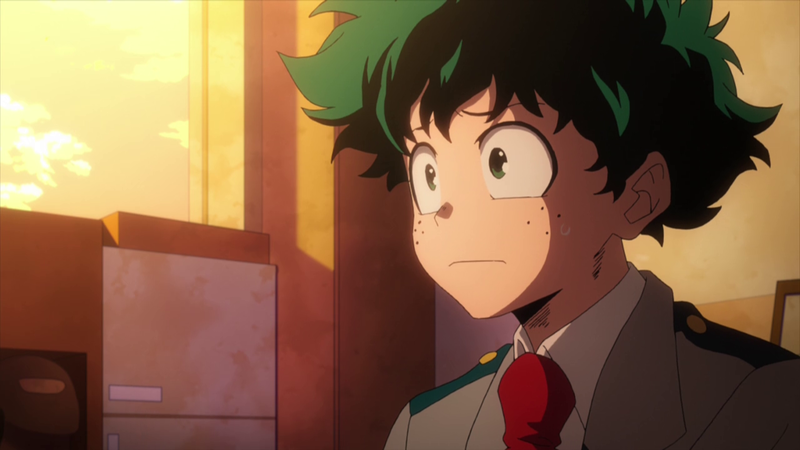 Latest three installments of My Hero Academia served as a bit of a break for the animation staff before the final stretch of season 2, which will presumably be packed with some of the most intense moments in the entire series. That doesn’t mean there’s no interesting topics to talk about though! Let’s see how the show fared during these more laid back moments. — This episode lived up to its title and was a simple aftermath of the Stain arc. A fitting moment to outsource the animation and move the main staff to more demanding content. Studio Nomad was tasked with an episode for the fifth time in the franchise and the result was as usual satisfactory yet unremarkable. Compared to their previous effort on episode 26, there were fewer off-model drawings thanks to Hitomi Odashima’s rock solid chief supervision. — And while I’m on that topic, the second half of season 2 seems to be operating with sort of a rotation of chief animation directors: we have Umakoshi, followed by Odashima and then Komori. It’s definitely the result of tighter production schedule, but this model allows all of them to participate on their episodes to a bigger extent. As proof of that, Umakoshi and Komori worked as both chief and regular animation directors on their latest episodes and their own styles were very clearly reflected in them. 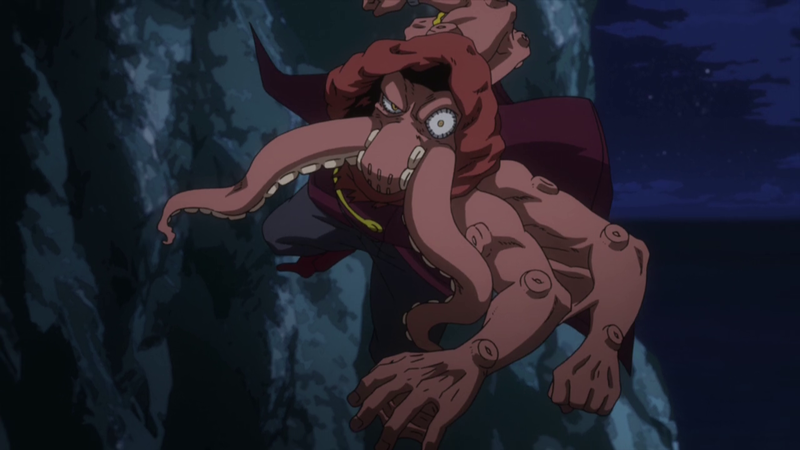 Knowing Umakoshi though, I’m sure he will sneak into some other episodes regardless of the order as well. — Toshio Kobayashi – an animator specialized in mecha and effects work – was credited for key animation under his usual pen name SNIPES. He had trouble finding a job after the production of Gundam Unicorn wrapped up and eventually asked for work on twitter when studio Manglobe went bankrupt. It’s rather weird to see him appear on Nomad’s episode, but I’m glad he’s getting to do some animation work nonetheless. He probably handled this short bit near the end. — I probably made it sound like this episode was a lesser priority, but it clearly had its important moments from a storytelling point. None other than Seiji Mizushima was tasked to provide storyboards, and as you already know he’s a person who greatly influenced series director Nagasaki’s career in the past. The viral video of Stain was probably the key bit of this episode in the bigger picture, and the delivery was appropriately terrifying. Combined with the tease of new villains, I can see why a director of Mizushima’s calibre was asked to handle this episode. — Anime original content! The nightmare of the most faithful manga fans! A simple mention of the word filler and an imaginary folder knife opens in their pocket. Interestingly enough, this doesn’t seem to be the case here as this episode was met with rather positive reception. Why was that? I’d like to stick to my own thesis: the power of kero. — If you’ve been regularly reading the transcriptions of staff lists above each episodic coverage (which you likely don’t, since that’s a lot of names to pay attention to! ), you’ve probably noticed something special about this episode. Yes, this was the first episode in the whole series without a chief animation director listed. I mentioned in my post about episode 27 how Umakoshi seems to trust Yoshiyuki Kodaira and Takashi Murai, and doesn’t correct much of their output. This episode once again proved my point. Joined by Minami Sakura, who had her animation directing debut a few weeks ago, this episode was all-around polished without a need of additional supervision. — Another interesting thing in the credits, although less evident, was the overwhelming female to male ratio on the key animation list. This has been a trend throughout the second season, but never to this extent. 21 women and 3 men is quite the gap! — There were two animation highlights worth a mention in this episode. First was the short one on one fight between Ochaco and Gunhead, possibly animated by Naoto Uchida who shared this clip on his twitter. 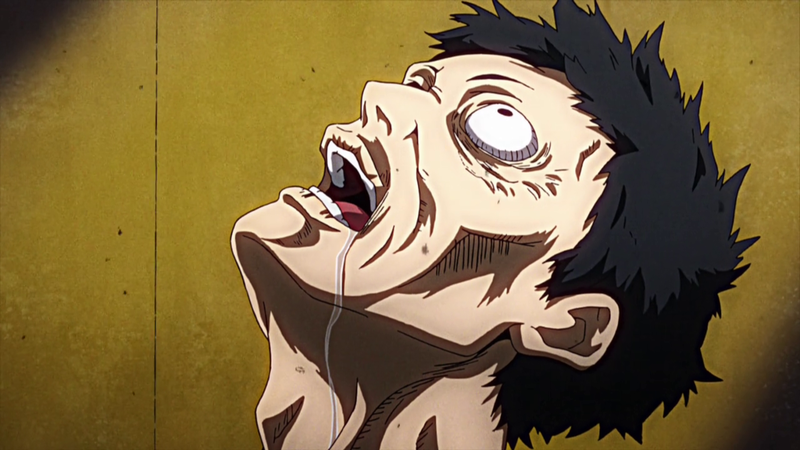 He’s a young freelance animator who previously worked regularly on Mob Psycho 100. 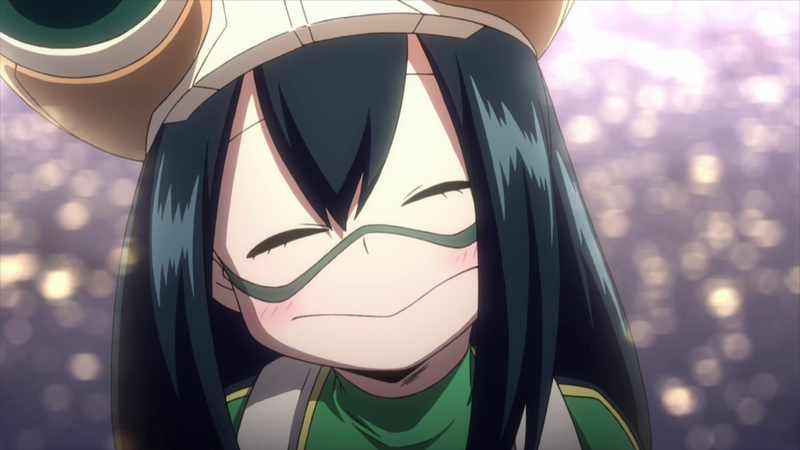 This was the seventh episode of HeroAca he worked on, so he’s quite the regular. 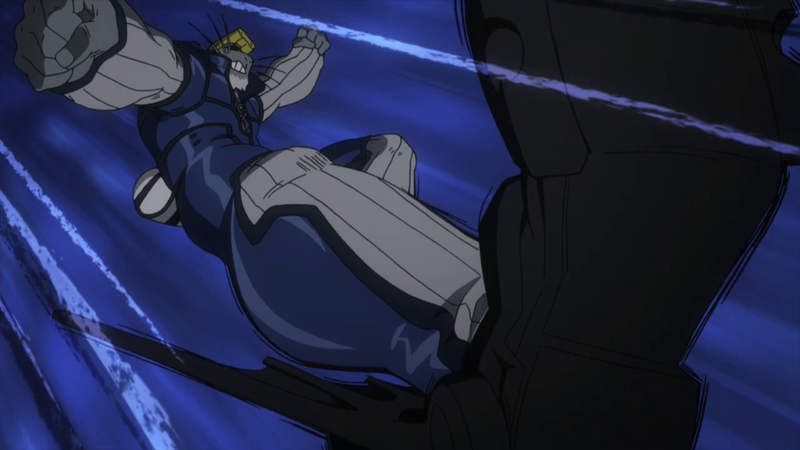 The second noteworthy sequence was the final showdown between Selkie and Innsmouth, which featured some striking poses, including what seemed to be an attempt to imitate the famous Obari punch. — Shinji Sato was faced with the challenge to draw the storyboards based on the script alone, rather than closely following original manga’s framing as everyone else has been doing. His work was handled by Ikuro Sato, a professional episode director who has been working in this field since 1989 and exclusively for BONES since 2003. — Final installment of this three episode intermezzo was without a doubt the turning point of the show, revealing the origin of One for All alongside with whom I presume is the main villain. It doesn’t seem like this story will wrap up within the runtime of the second season by any stretch, which makes the impact of this episode even broader. — The episode was outsourced to studio C2C. You might recognize from the recent WorldEnd TV anime, which they coproduced with Satelight. 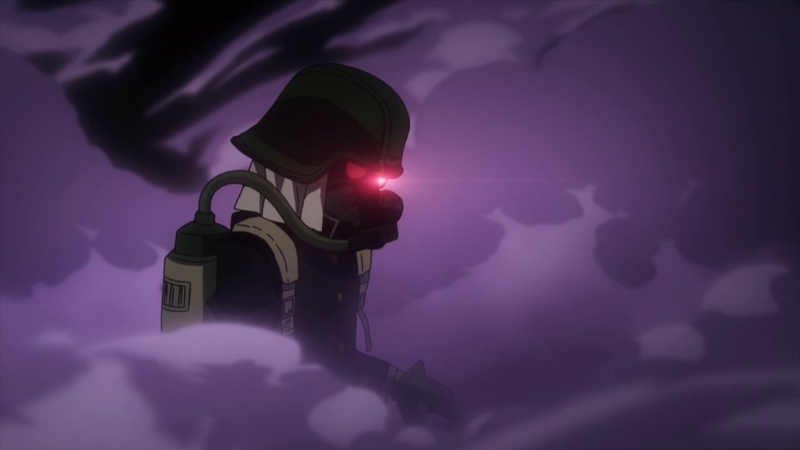 C2C has a long ongoing partnership with BONES, animating subcontracted episodes on their shows since Fullmetal Alchemist: Brotherhood in 2009. The result of this partnership so far is 19 full episodes and half of the fourth Towa no Quon movie. And the relationship works both ways, as BONES acknowledged that they gladly funneled talented animators towards the previously mentioned WorldEnd whenever they had the chance. The studio has been recently praised within the industry for their up-and-coming animation talent. It’s been very satisfying to watch them grow over the years and gradually escape the bubble of average subcontracting studios; after all, C2C stands for Challenge to Challenge! Hopefully, they’ll be able to produce a full length TV anime alone in the future. — Although the credits list two chief animation directors, it’s very clear who did the heavy lifting here. 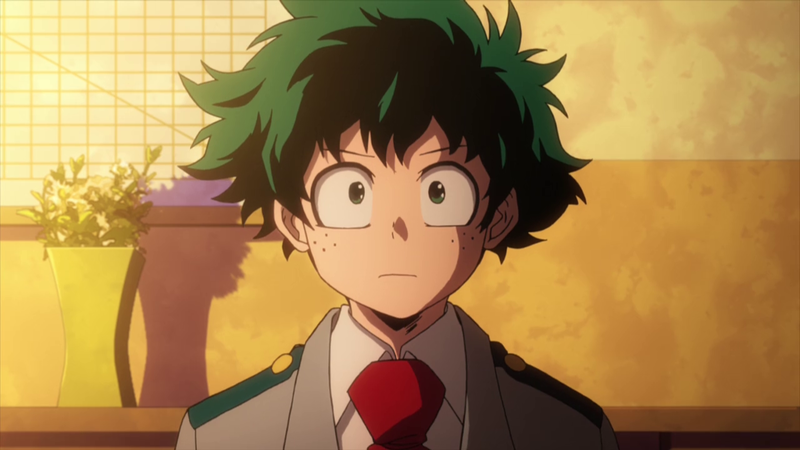 Komori’s style reflected on the majority of the episode and as usual his drawings of Deku were very easy to tell apart. Only the pre-opening part looked noticeably dodgy. Umakoshi stepped in to supervise the stylized drawings in the flashback. — The part that caught my attention the most animation-wise was Deku’s fast maneuvering in the training field. Not only was the movement itself rather neat, but the synchronization with CG backgrounds enhanced the experience even further. One name I recognized as a potential suspect in the list of animators was Takeshi Nishino, a popular animator among the fans of Toei Animation’s shows. Just a wild guess, but perhaps it was his work. — Kou Matsuo is by all means a regular storyboard artist on HeroAca at this point, and this episode played to his strengths. He’s possibly the most unique storyteller in the crew, so it was wise of Nagasaki to assign this episode to him. 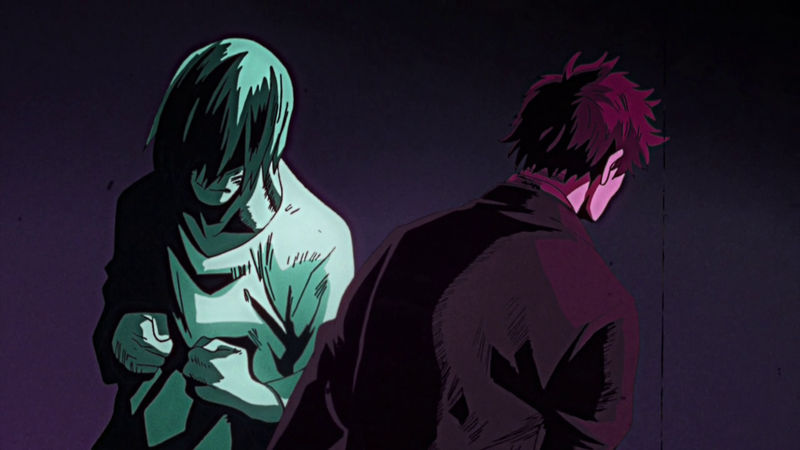 The clear highlight was the flashback sequence, which allowed staff to take artistic liberties based on Matsuo’s storyboard and deliver one of the most visually striking moments in the whole show. 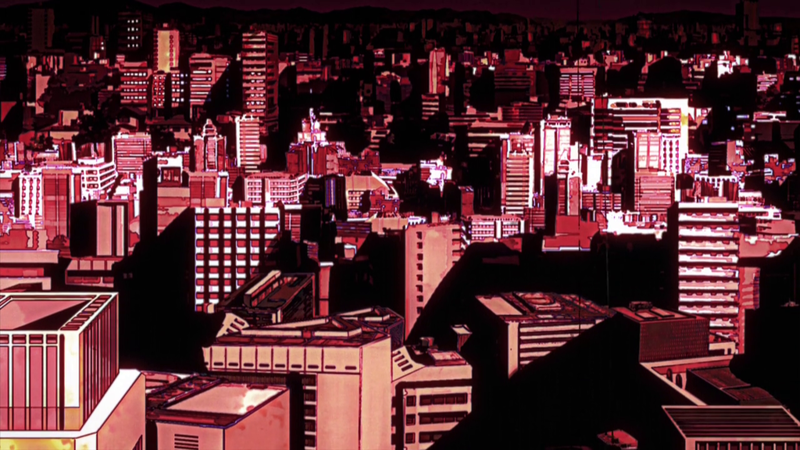 The grotesque oversaturated color palette and old film effect added by the compositing crew gave the scene a particularly dark atmosphere the likes of we rarely see on this show. Yuki Hayashi’s ominous music only added to the feeling! The only thing I really didn’t like about Deku’s jumping scene is how he magically jumps in front of the objects that he’s jumping on. It has the same dodginess that Bakugou’s animation has in the 3rd OP credits of the series. I really think it would’ve been better if they went with a still shot from above (like in the manga) instead of being dynamic.